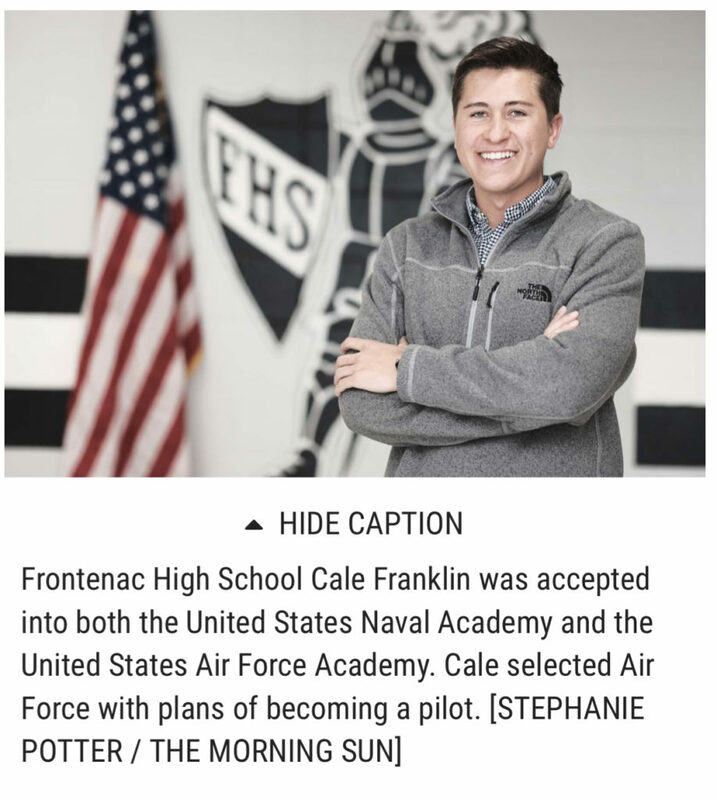 FRONTENAC — Frontenac High School Cale Franklin waited anxiously for an email to arrive which would be a deciding factor in his career. Cale knew he wanted to be a pilot since approximately fifth grade, where he became fascinated with airplanes and flying after an air and water show in Chicago. He had seen Air Force fighter jets, among several other planes which fostered his fascination with flying. As a high school student, Cale had to figure out how to become a pilot, and two options came up — the United States Air Force Academy or the United States Naval Academy.